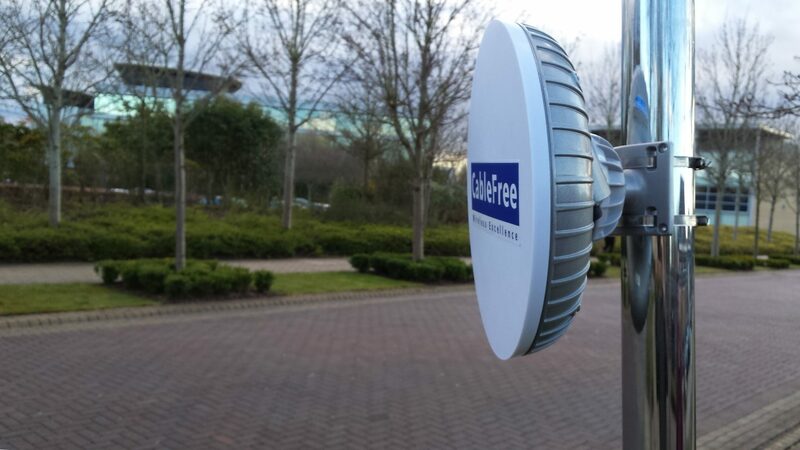 The CableFree range of WiFi products are ideal for providing outdoor as well as in-building coverage for corporate, ISP and Telecom applications, using our high quality telecom-grade solutions. Highly integrated All-in-One WiFi Hotspot unit with on-board authentication, bandwidth allocation, Firewall and QoS features for advanced users, corporate and carrier/ISP network deployments. Latest-generation standards including latest 802.11ac, 802.11n, 802.11a/b/g are fully supported. Both Indoor and Outdoor versions of CableFree Wireless AP Hotspot products are available, to allow Wireless to be extended outdoors in public spaces as well as indoors. Multi-Radio design can feature up to 4 Wireless radios inside a single unit. Optional Wireless Mesh feature included to enable in-building or outdoor Mesh Networks to be extended where no physical infrastructure or cables are available. Optional LTE radio enables “Off Net” deployments to sites with no wired Internet connection.